Have you attended a wine tasting event with wine professionals and experts? Wine tasting events can prove exciting because you not only sample authentic wines but also learn more about them. However, have you observed how wine experts or sommeliers perform wine tastings? If so, you likely noticed it comes across almost as a ritual—as if they must follow particular steps to complete the process. Sommeliers (wine experts) start the process of tasting by staring at and studying their glasses, then slowly spinning them as if mixing the wine in the most fashionable way before finally sipping the wine as though attempting to identify every flavor by making use of all parts of the tongue. Sommeliers taste wine expertly by employing these basic techniques. Examine the wine. This entails literally seeing the wine through. 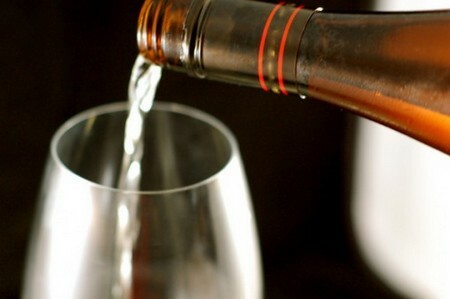 Pour at least two ounces of wine into your glass from the bottle you have decided to taste. After pouring the wine, lift up the glass against a piece of white cloth or white paper. This process involves checking to see how the state of the color, which will tell us something about the wine’s characteristics. Darker colors suggest a heavier taste than lighter ones. Observing a wine against a white background will assist you in seeing its true color. Swirl and smell the wine. Swirl the wine (that is, “spin” the liquid) inside the glass. Notice that red wine glass creates a big bowl shape, serving its purpose when doing this process. When you swirl the wine, it gives a certain space for air or oxygen to penetrate between the liquid cells and thereby exposing the smell or aroma inside the glass. Now you need to smell it to see if you can distinguish and classify the wine’s order. Sip and slurp the wine. Imagine yourself tasting a chocolate and savoring it in your mouth; you use the same process when you really do the tasting part. Carefully execute this technique by sipping a very small amount into the front of your mouth (or, more specifically, between the middle front of your lips), then open your mouth a little as if trying to inhale a little air before slurping the wine and spreading it across your tongue and letting your taste buds determine its extraordinary flavor. Spit the wine. Often a sommelier will taste more than 50 wines in just one single hour. Imagine if a sommelier swallowed every wine she tasted! However, you can swallow the wine you just taste if you do this at home. After tasting each wine by following the aforementioned process, a sommelier will take down important notes for future reference.